Business simulations are helping students all across America succeed in the real world, and this is just as true in “The Lone Star State” of Texas. Farming is a major industry in Texas, and with technological advancements it has become increasingly important that ranchers and agricultural managers have degrees in business, with concentrations in agriculture, crop science, farm management, agronomy or animal science. Those working in the farming industry need to have a sound understanding of the market, and they need to be able to identify trends, analyze data and maintain their business’ brand. The booming farming industries in Texas include cattle, cotton, milk and broilers. These are all businesses that produce perishable goods that need to adhere to regulations and laws. They are products that will fluctuate in price depending on the season, consumer demand and competitors, so being business-savvy reduces the risks and helps businesses produce products that are relevant and fit for the current market. One way to obtain a business education is the traditional way, i.e. through rote learning in a lecture hall. A better way to go about studying business is through business simulations, a more modern approach to education that has been proven to help students retain more knowledge and enter jobs with useful real-life experiences. For this reason, many university professors have chosen to incorporate Smartsims business simulations into their courses, such as at the University of Texas – Austin. Business simulations are designed to make it easier for students to be confidently ready for the workforce as soon as they graduate. There exists a huge opportunity to better equip students with the necessary skills and experience, and business simulations have been tailored to do just that. Active learning through simulated business scenarios allows students to understand business strategy and management concepts at a deeper level. The benefits of business simulations are endless. They provide an immersive experience, incorporating a wide variety of teaching methods such as experiential learning, reflective learning, action-oriented learning and the flipped classroom. Students are more likely to be engaged and alert, resulting in better outcomes. Business simulations provide a safe setting for students to bridge theories and concepts with real-life experiences, learning from their mistakes and its consequences as well as celebrating their successes. Business simulations replicate the informal, reflective and interactive nature of workplace learning. Authors agree that workplace relevant learning is typically created in action as employees form solutions to problems (Gibbons et al., 1994; Marsick & Watkins, 1996; Sternberg & Horvath, 1999). To succeed in a large-scale, highly competitive industry such as farming, workers need to display independent problem-solving abilities. Business simulations help students become more capable. We have two business courses designed to help students develop business knowledge and skills, and covert theory into real-world skills. Smartsims’ MikesBikes Introduction is a foundation-level course that allows students to build up their confidence, and MikesBikes Advanced is a highly instructive strategic management simulation that takes it to the next level. The skills learned in these simulations translate well to the farming industry or to any other type of business. If you are considering entering the farming industry, or you are already in the workforce but want to further your knowledge and skills, contact us to find out more about simulation training. Our business simulation games are changing the shape of the education system, and the success of businesses in Texas and all over the world. Experiential education is the evolution of education. Adapted from an article written by Karie Willyerd, Alwin Grünwald, Kerry Brown, Bernd Welz, and Polly Traylor and originally published in the Digitalist Magazine by SAP. For companies, traditional training methods, such as classrooms, are still relevant, but they are no longer the prime delivery method for learning. Now digital experiential learning methods offer businesses a versatile platform that connects the dots between learning outcomes and business outcomes, such as attrition, employee engagement, and sales growth. Brown and colleagues of business software solutions company SAP introduce a convincing argument for the effectiveness and efficiency of modern methods of experiential education. Businesses that leverage custom-made, carefully-integrated digital learning models generate effective employees and dynamic business strategies. The authors outline their findings in six exciting concepts. The future of learning rests with learning methods that are rapid, mobile and on-going. Brown et al. believe the greatest challenge for traditional learning methods is their inability to keep up with the increased diversity and pace of the modern business climate. Systems like classrooms, slides, and textbooks cannot keep up with these pressing factors. Digital learning allows businesses to mobilize their training systems to each employee in customised, consumable forms. This portable form of learning turns training into a continuous and ever-engaging experience. Bernd Knobel, a director at CGI Consulting called his company’s digital training, “a ‘moment of need’ reference tool” that assists his employees in their everyday duties. As a continuous system, it is a tool that lets employees access it where and when they require. Like CGI, digital learning methods are continuous training systems that give more employees the autonomy to learn as they work. Digital learning helps businesses keep up to date with modern developments in technology and communications. Companies like Uber, Netflix, Airbnb and many others used modern technology and digital systems to outrun the developments of tomorrow. Any business can gain this competitive edge by using and understanding the potential of digital learning methods. Jim Carroll, a renowned business consultant, uses the automotive industry to describe the modern need for multi-skilled employees. Carroll exemplifies how a regular car dealer requires a range of knowledge, “infinitely more complex than it was 5 or 10 years ago.” The integration of complex technology into normal, day-to-day activities necessitates a multi-skilled workforce in any business. Digital learning’s versatile and mobile systems make it the best tool in closing the skills gap of the modern workforce. The authors cite that in less than a decade 75% of the workforce will comprise of Millennials eager for expedient and diverse learning. Digital learning is a necessary addition to common business practice should the businesses of tomorrow want an engaged and prepared workforce. The Oxford Economic Workforce 2020 survey suggests that the top concern of employees surveyed is becoming obsolete. Digital learning benefits both businesses and their employees in addressing that reality of obsolescence. The article identifies six key characteristics that exemplify the transition from traditional to digital learning methods. The first is micro-learning, breaking large concepts into smaller consumable pieces. Businesses have the freedom to deconstruct their training into whatever sequence or series is appropriate. The main principle is taking large complex ideas and breaking them into smaller, simpler parts. The second is self-serve learning. An overarching theme of the article is the importance of mobile, accessible learning systems. Digital learning can be cloud-based, updated in real-time and accessed where and when an employee needs. This is just one exciting foundation of its self-serve learning method. The third is learning as a form of entertainment. Digital learning’s ability to take the form of business simulations, gamified goal-setting or virtual reality makes it an emotive and entertaining learning style. Joe Carella of the University of Arizona shared his praises of digital learning methods describing them as, “more immersive” than traditional online methods. The fourth is the social learning of digital learning methods. Learning is an “emotional experience and most people don’t want to be alone when they learn”, says Brown et al. The potential for social collaboration produces new avenues for learning strategies and internal business growth. The fifth, building off social learning, is user-generated content. Founder of The MASIE Centre, Elliott Masie described “raw, user-created content” as having a higher demand above “polished corporate-created content.” Digital learning leverages this social trend allowing employees to learn from each other in a collaborative environment. Finally, the sixth characteristic is video. Video content can now be created, edited and consumed by anyone with access to a digital device and the internet. VP Cushing Anderson of the firm IDC says “[digital] learning is often about substituting convenience for perfect quality”. The article concludes by emphasizing the importance of having a strong human connection throughout the digital learning experience. The point is succinctly summarised by the authors, “excellent learning depends on excellent instructors.” Blending digital into traditional, formal modes of learning leverages its human connection to produce knowledge that sticks. The key premise of the article is that business that leverage personalized, carefully-integrated digital learning models generate effective employees and dynamic business strategies. Digital learning methods are continuous learning platforms that give businesses a competitive edge while fostering a collaborative culture. Nevertheless, its benefits and advantages all rely on the human element and intending businesses should endeavor to integrate digital learning into existing formal training methods. Silicon Valley is ruled by millennials who rushed in to claim one of the many tech jobs available. This campus-inspired atmosphere is known for its culture of working hard and long hours, but it’s also the birthplace of innovative ideas that have transformed the way humans experience the world. So for many students it’s the dream place to work! However, entering Silicon Valley requires more than good grades and the right attitude. Those who dream of landing a job in this market know that previous experience is essential to scoring big. Engaging in business simulations can help future movers and shakers experience the industry and get tech-ready for the road ahead. The technology job market is becoming more and more competitive, and it’s no different in Silicon Valley. There is a huge demand for tech-savvy workers. According to the Bureau of Labor Statistics, the average salary in the computer science field is $81,430. According to Glassdoor, the average salary for project managers in Silicon Valley is $110,197, and the average Bay Area salaries for experienced data scientists and engineers are $162,000 and $189,000 respectively. Sounds good, right? LinkedIn’s Workforce Report for June found that Americans agree. The report shows that of the 20 largest US metropolitan areas, Silicon Valley is the 12th most attractive place for jobs. Unsurprisingly, interviews are lengthy and difficult. A standard interview process will begin with an email, followed by a phone screening and then an on-site meeting. It’s important for applicants to be prepared, confident and present a fresh perspective in these interviews. How Do Business Simulations Help? Business simulation games allow students to manage their own virtual business, so they experience what it’s like to run a simulated company. Start-ups are popular in Silicon Valley, and many of them succeed. Having a simulated business provides a risk free learning opportunity. Bridging practice and theory in a low-risk environment (Gosen & Washbush, 2004). Simulated games teach real-life details in a flexible setting. Students often find it hard to land a job after graduating, because they never learned how to bridge the concepts taught in class with real-life experiences. Simulated games are more engaging and memorable than traditional teaching methods, so students retain information better and have an advantage over others. Business simulations have also been proven to improve critical thinking skills (Lovelace, Eggers & Dyck, 2016). If you’re looking to give your students a leg-up in the competitive job market, business simulations can help. Humans learn best by doing, reflecting and then doing it again, and that’s what business simulations are all about; action-oriented and reflective learning. It’s not impossible to become a noticed member of the group, but it takes a special kind of education and a unique way of working to become a leader in this age of technology. At Smartsims, we offer a Foundations of Business Game, an advanced Business Strategy Game, a Marketing Simulation Game and an Advertising Simulation Game; all designed to give students real-world skills and experience, giving them the edge in the today’s competitive job market. Delivering your best at every turn is difficult and even exhausting, but that is what appears to differentiate successful folks from the unsuccessful ones. The 40 under 40 list recognizes graduates who are making a significant contribution to their field and community. We are proud to announce that MikesBikes student, Amar Virk, has made the list! Amar is currently working for UberEats but his business journey began at the University of Auckland. Amar was an electrical engineering major but decided to take some business papers in his third year. This was where he happened across the Management in Action course taught by Professor Darl Kolb. At the center of this award-wining course is the MikesBikes Strategic Management Simulation. Through the simulation and the unique experiential learning activities developed by Professor Kolb, Amar had the opportunity to experience what it was like to run his own company. 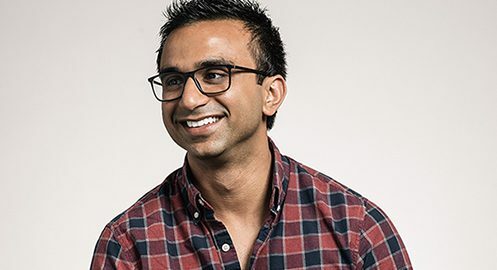 Graduating with a Bachelor of Engineering in 2008, Amar’s experience at the Business School was instrumental in deciding to enroll in an MBA at Cornell University. While his next steps were working at Parthenon-EY and Symphony Commerce, an opportunity presented itself in 2016 to work for UberEats. Amar admits it was a steep learning curve to begin with but also a valuable lesson in adapting to a very dynamic business model. Read more of Amar’s story here. Adapted from an article written and originally published by The University of Auckland. Anyone who’s tried to find a job lately knows how tough the market is. Employers only want to recruit people who tick all the boxes, including prior industry experience. This poses a significant problem for graduates. So what can universities and community colleges do to help their students become successful job applicants once they graduate? As tuition prices in the US continue to rise, and the job market in New York and nationwide becomes more competitive, the challenge is for recent graduates to gain real-world experience without taking on unpaid internships and more debt. Upwards of 1.5 million internships are filled in the United States each year, half of which are unpaid (Ross Perlin, Intern Nation: How to Earn Nothing and Learn Little in the Brave New Economy). Only 63 percent of graduating students who held a paid internship received a job offer by graduation (NACE, 2013). A paltry 37 percent of students who took on an unpaid internship received a job offer, only slightly higher than those who had no internship at all (NACE, 2013). Unpaid internships are of particular concern in the United States. Most graduating students leave university with thousands of dollars of debt, so the prospect of having to take on a full-time unpaid position is not feasible. Moreover, many unpaid internships are in breach of the Fair Labor Standards Act. In light of all these concerns, the U.S. federal government has been cracking down on unpaid internships. Very soon, these types of internships may be a thing of the past. So if internships aren’t a realistic or fair option for many graduating students, what is an alternative way for students to gain real-world experience? The answer is business simulations. Skills increasingly trump tenure in the workforce. Therefore, ensuring your students are armed with the latest knowledge and competencies is critical for staying competitive. Today’s students need to understand complex problems, experience working in teams of people with diverse opinions and learn how to come to a decision in the face of many competing options. In the past, many students have taken on internships to develop these skills. However, business simulations can provide this same practice in a low-risk, highly engaging environment, during the education phase itself. 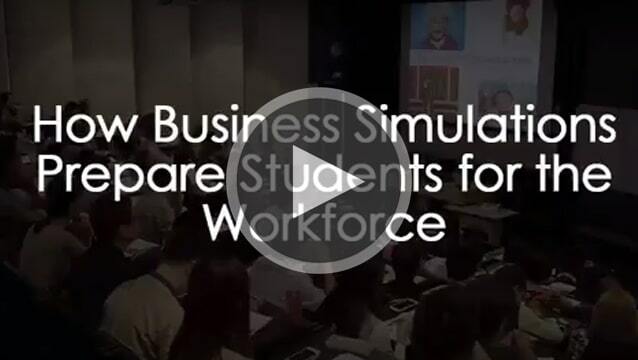 Smartsims has a range of business simulation games that will challenge your students with issues from the real world. These business simulations provide an interactive learning experience that requires participants to apply what they have learned in a robust, virtual business-like environment. Participants build relevant skills, improve conceptual knowledge and gain a better appreciation of business strategy and of the systems of business management. Simulations perform the very important role of bridging theory and real-life experience through active learning, considered to be a crucial technique to engage students by Cornell University Center for Teaching Excellence. They provide participants with the opportunity to make relevant decisions in a competitive marketplace so that they can see the immediate effect on business performance. And perhaps most importantly, they can save students time and money by providing the same benefits as an internship without the costs. Simulations create more engaged learners: The high level of interaction makes learning fun, increases retention, solidifies learning and builds skills. Studies have shown that business simulations stimulate enjoyable learning (Fripp, 1997). Simulations improve knowledge retention: By immediately applying new concepts, participants learn by doing. This approach produces significantly greater learning gains in both declarative and procedural knowledge than classroom learning alone (Sitzmann et al., 2006). Simulations provide risk-free learning: More than just a business strategy game, a simulation recreates real world experience or tasks so that learners can practice without fear of major repercussions. It bridges practice and theory in a low-risk environment (Gosen & Washbush, 2004). Simulations prepare learners for the real world: Users are able to practice different techniques so that they are better prepared when they encounter those or similar conditions in the workforce. This type of practical experience reduces the potential ‘shock’ of recent graduates entering their first job in their field of study (Kramer, 1974). The tech start up industry in Boston and New England is making a strong comeback after many years of stunted growth. To gain an edge in this competitive industry, recent business graduates from New England universities need something to make them stand out from the crowd. Engaging lectures, hands-on lab sessions, and relevant case studies are necessary elements of a well-designed business course curriculum. But they cannot provide one very crucial thing: experience. This is where business simulations, created by Boston-based Smartsims, enter to provide the tools to nurture fast-thinking, creative, tech-industry-ready graduates.